I recently lived in a working-class area that was well-known locally for being impoverished and more than a bit rough. Positioned at the intersection of the estate’s entrance, I started to notice something I had never encountered before: the extraordinary frequency of taxis passing by. I wasn’t paying attention at first, but once I realised that I’d never seen as many taxis in any other neighbourhood I’ve lived in (and I’ve lived in more than my share, in several countries), I started to wonder why this was… and how much it was costing my neighbours. This is what I refer to as the poverty premium in transportation – the fact that those who could not afford their own private transportation were having to pay more over the long run. Let’s face it: driving carries an up-front cost that some of us cannot meet. Most drivers won’t consider the investment they have had to make as being something entirely unaffordable or unjustifiable, but for some families, that’s just what it seems like. Before the cost of a car comes into play, there’s the cost of learning to drive. After lessons comes the cost of the theory test and then the driving test. Next, there will be the issue of buying a car as well as insuring it and maintaining it, not to mention the constant expense of petrol or diesel. For me, the cost of driving lessons was something that I winced at, but there was no real choice to me but to carry on. Not being able to drive whilst living in a rural area was something that would cost me and my family in the long run, both in terms of personal finance as well as personally. Easy access to a place of employment – earning me money. Easy access to a variety of shops at whatever time I desired – saving money. A feeling of independence and self-determination, along with access to a social life of my own construction – priceless. Those who live in urban areas may not be able to relate to this argument, as many cities’ public transportation networks are good enough to make owning a car into a luxury, not a necessity. However, for those who live in more suburban or semi-rural areas who don’t have as easy access to a variety of goods and services as well as transportation options, not having their own transportation can end up costing them dearly. It appeared as though many of the trips taken were for banal purposes, such as to the supermarket or other local stores (I would sometimes run into my neighbours there). 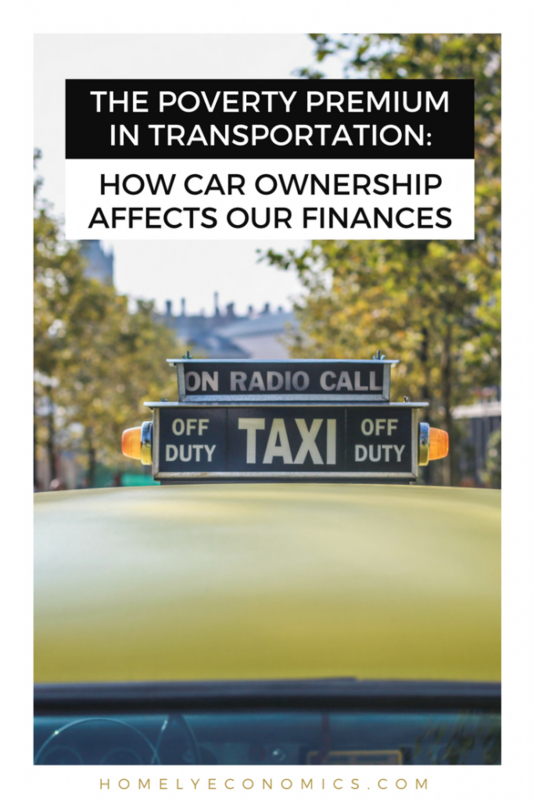 Seeing this made me question whether reliance on taxis was ever cheaper than running a car, but for the reasons mentioned above, I would say that the answer is no. Even if there was an immediate cost saving in avoiding the up-front outlay (and I avoid a lot the costs of car ownership through driving bangers), then the loss in convenience, time and earning opportunity must be greater. I grew up in a working-class family in the Caribbean, where social inequality was – and still is – more pronounced than in the UK. For a long time, my mother was the only person in my immediate family who could drive, and even then, she could only afford a car for a short space of time. 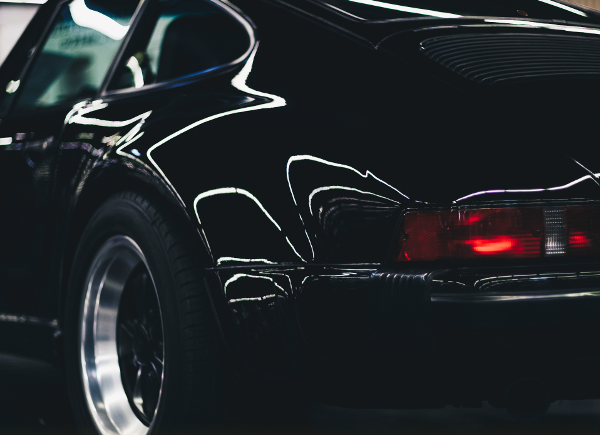 When I was younger, I naturally accepted that wealthier people had cars, and that people like us didn’t. It wasn’t an injustice; it was just how it was. Even now, that divide persists in my old neighbourhood, and I can pinpoint the precise ways that a lack of mobility translates into a lack of financial growth. Now, I expect that my teenage son will start taking driving lessons as soon as he is of age. It’ll be expensive, and his first insurance policy will be exorbitant, but we are prepared to pay for it because it’s a rite of passage – an investment in his future life – that we would never want to withhold from him. We as parents are in the fortunate situation of being able to provide funding for this life skill – perhaps it’s not something that most of us think about, but in a way it’s a privilege. 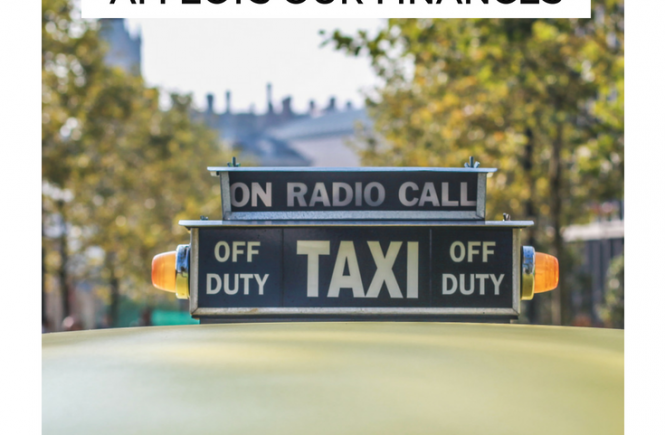 If you’re in need of a vehicle and in need of funds at the same time, consider all the costs of running a vehicle (new post coming soon) and decide whether you would benefit financially over a year or two. If driving isn’t an option, consider how you can consolidate trips to cut down on bus or taxi fares, join up with another person for taxi rides and take advantage of online shopping when you can. As someone who values the convenience and money-making opportunities a vehicle brings, I look for ways to make car ownership cheaper. I’m a fan of buying secondhand cars, as I’m not fussy about the style factor – just the A to B! It helps to think long-term when it comes to your children and driving. I know that I’ve got another three years to build up my teenage-driver fund, so we’re thinking about it now, so that the expense won’t come as a surprise. I appreciate that this will be open to debate, and I’d like to hear your opinion. I would guess that those who live in cities will be of a different opinion to those who live in the less-well-served suburbs and rurals, but I’d like to hear your thoughts. Also, it may be purely empirical evidence, but my observation was that a disproportionate number of my taxi-taking former neighbours were women… any further thoughts on this? Bangernomics: Is Driving A Cheap Secondhand Car Worth It?